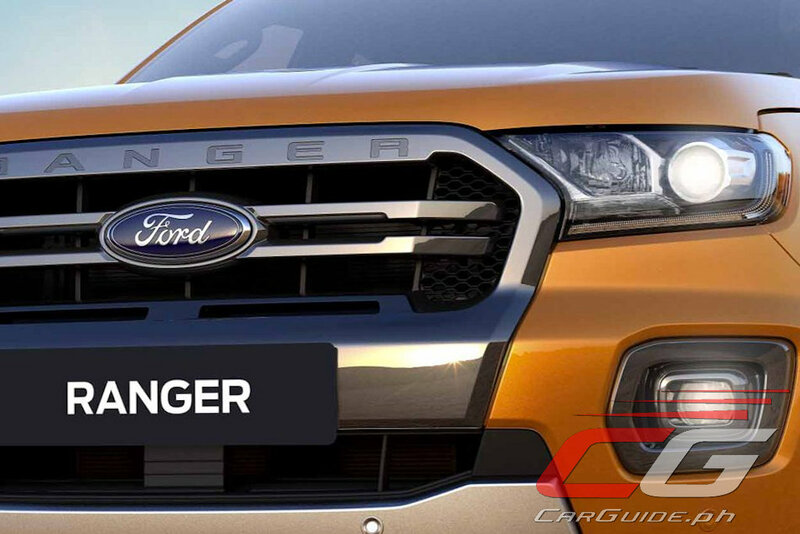 Ford Philippines unveiled the new 2019 Ford Ranger, an even tougher and more capable version of its segment-defining pick-up truck equipped with enhanced power, performance, and smart and safe features. 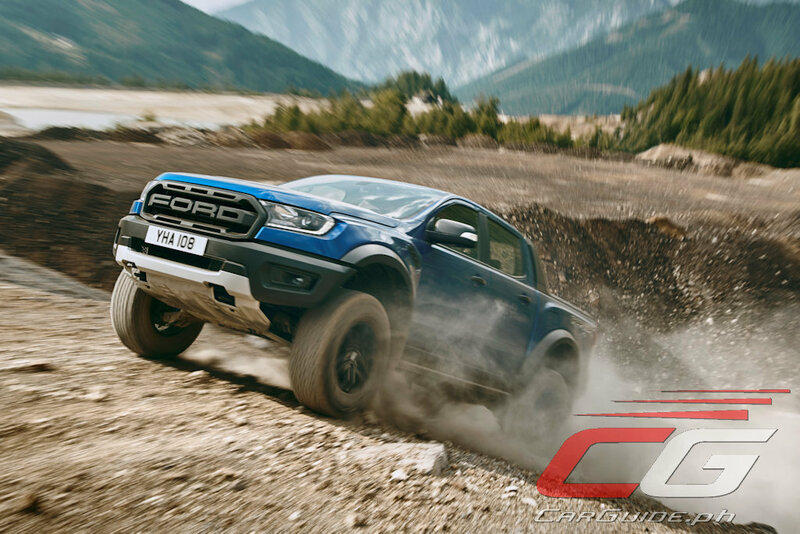 The launch included the much-anticipated first-ever Ranger Raptor, Ford’s high-speed, off-road, performance pick-up truck. The new Ranger comes in 8 colors: Absolute Black, Cool White, Aluminum Metallic, Meteor Grey, Blue Reflex, Sunset Red, Diffused Silver, and Saber. 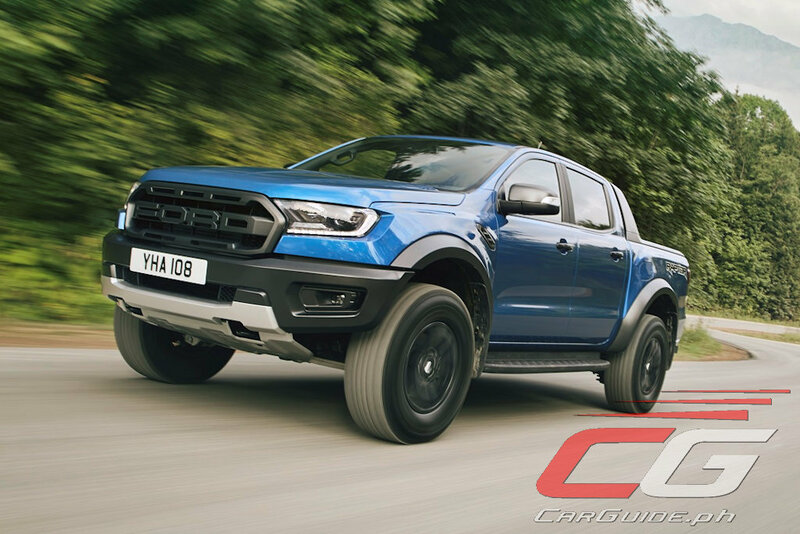 Meanwhile, the Ranger Raptor comes in 5 colors: Conquer Grey, Lightning Blue, Race Red, Shadow Black, and Frozen White. Ranger Raptor and the Wildtrak 4x4 are equipped with a new 2.0-liter Bi-Turbo diesel engine that delivers a maximum of 213 horsepower and 500 Nm of torque. The 2.0-liter Bi-Turbo takes advantage of sequential turbocharging to deliver greater responsiveness, drivability and maximum efficiency. A variable geometry turbocharger is employed to deliver greater throttle response and eliminate lag by spooling up quickly at low speeds. The second unit is a fixed geometry turbocharger with a high flow capacity to deliver maximum power and performance. 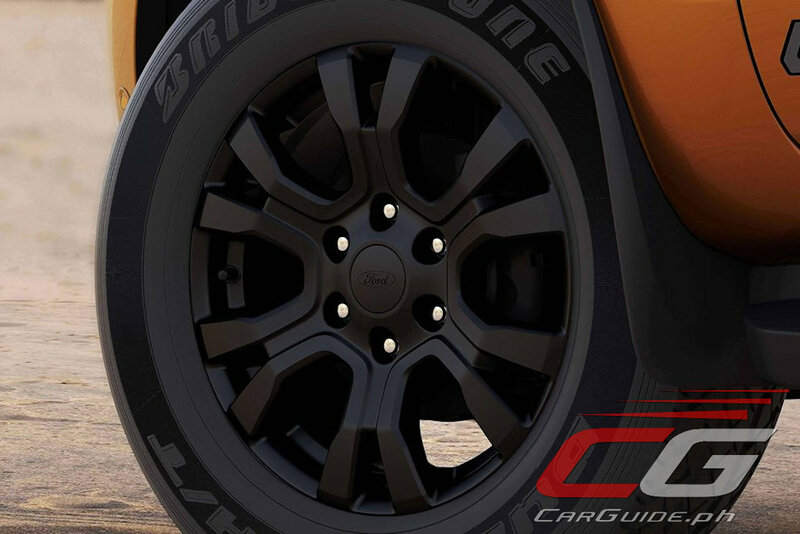 These two variants come with a Ford-designed and Ford-built 10-speed automatic transmission. They have been created with high-strength steel, aluminum alloy, and composites to optimize durability and weight. The 2.0-liter turbo diesel engine, available on the Wildtrak 4x2, is also mated to Ford’s advanced 10-speed automatic transmission delivering 180 horsepower and an impressive 420 Nm of torque. 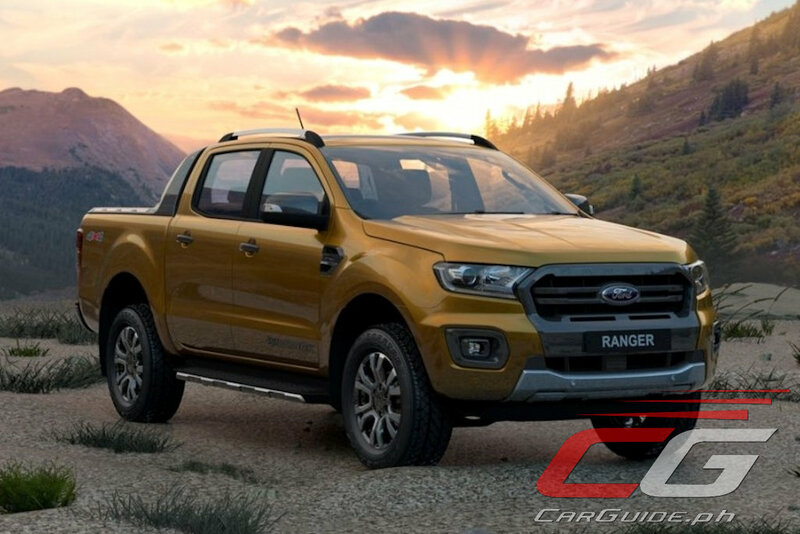 The XLT and XLS variants, which now includes a Ranger 2.2L XLS 4x2 AT variant in the portfolio, are equipped with Ranger’s proven 2.2L TDCi engine, which offers 160 horsepower and 385 Nm of torque and comes with either a six-speed automatic or manual transmission. 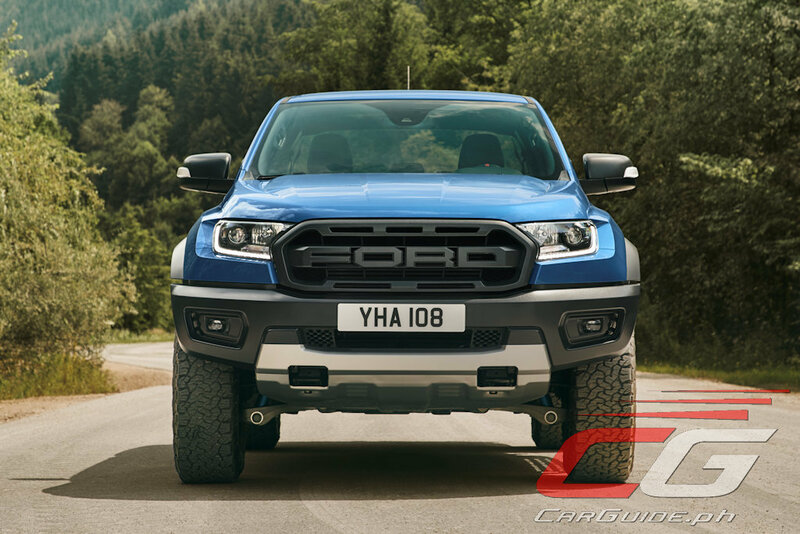 The new Ranger’s suspension had been upgraded across the range to reduce and better control roll, with an emphasis on improving the driving experience when fully-laden and towing. The geometry changes bring an improved ride, a reduction in body roll as well as improved steering precision. Crucially, while improving the drive and refinement, the suspension changes do not impact on Ranger’s towing and payload capabilities. 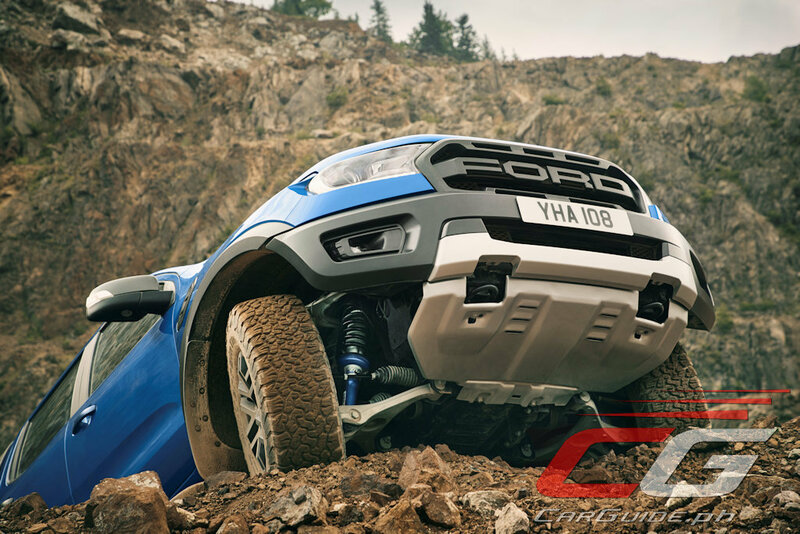 Meanwhile, the Ranger Raptor rides on a coil spring rear suspension and features off-road performance Fox Racing Shox as well as an exclusive Baja mode. 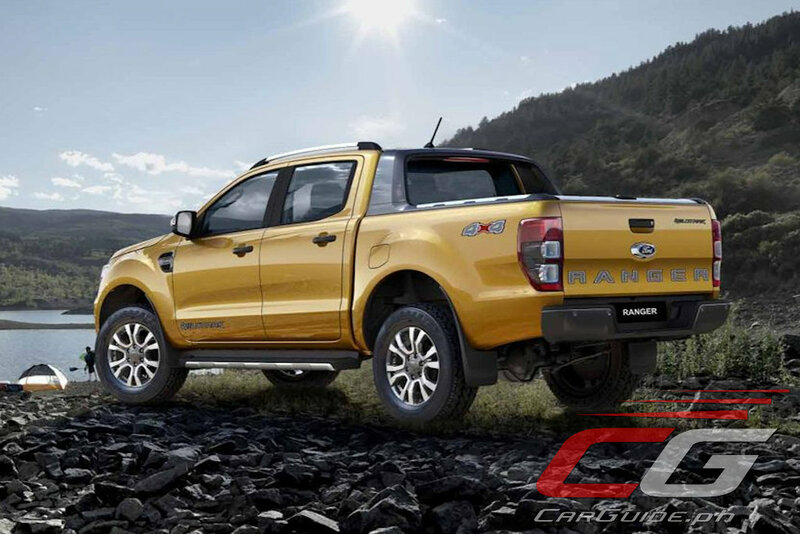 The new Ranger also boasts of advanced smart and safe features for a more comfortable and convenient drive. The Autonomous Emergency Braking (AEB) feature helps mitigate risks by detecting pedestrians and vehicles, alerting drivers with an audible and visual warning. With the AEB, the new Ranger pre-charges brakes to increase brake-assist sensitivity providing full responsiveness when the driver brakes. 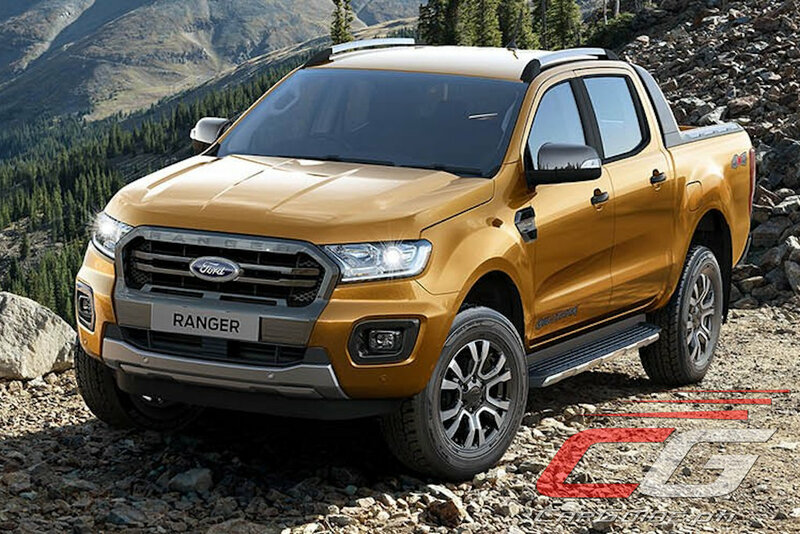 In a segment-first, the new Ranger’s easy-to-live-with features include Active Park Assist (APA), which helps the driver find parallel parking spaces and steers itself to a parking spot. All the driver needs to do is control the throttle and brake. Also available on the new Ranger is the Adaptive Cruise Control (ACC) feature, which senses traffic and adjusts speed automatically. 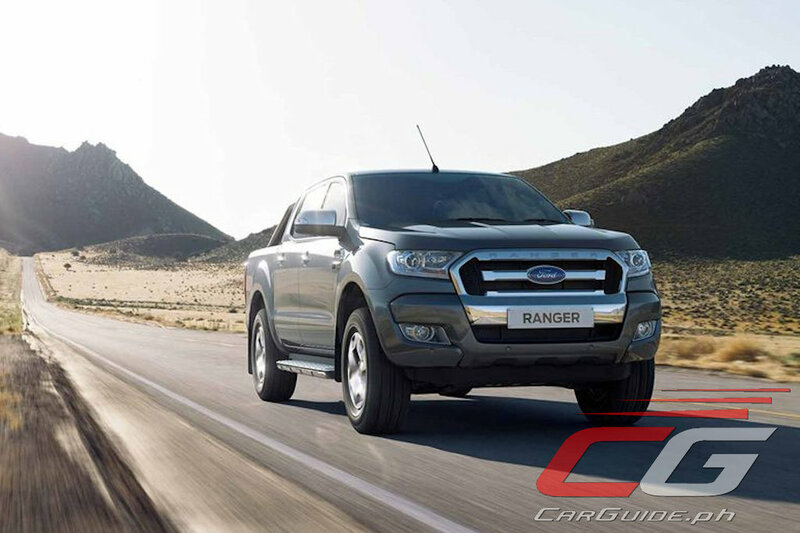 When traffic slows down, the new Ranger slows down too. As soon as traffic clears, the new Ranger returns to its preset speed. Meanwhile, the Lane Departure Warning feature vibrates the steering wheel if the driver unintentionally moves out of his/her lane at certain speed. Loading is easier than ever on the XLT and Wildtrak variants with the introduction of a first-in-segment, Tailgate Lift Assist. 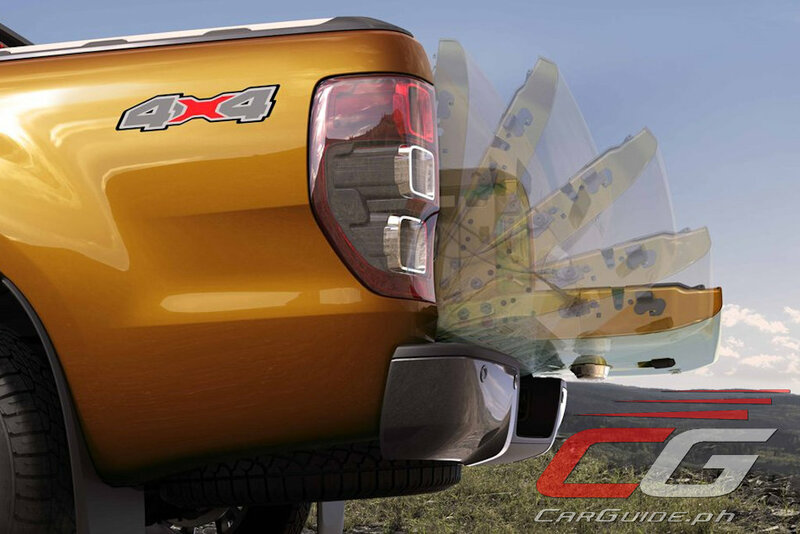 With a new internal mechanism, the Ranger’s tailgate is now lighter to lift, with a 70 percent reduction in initial force required to raise it for closing. Not only does this system require less effort to lift, it also means that it’s easier to lower. The Wildtrak variants also offer the Smart Keyless Entry and push-button start, as well as up to 6 airbags ensuring maximum convenience and safety. 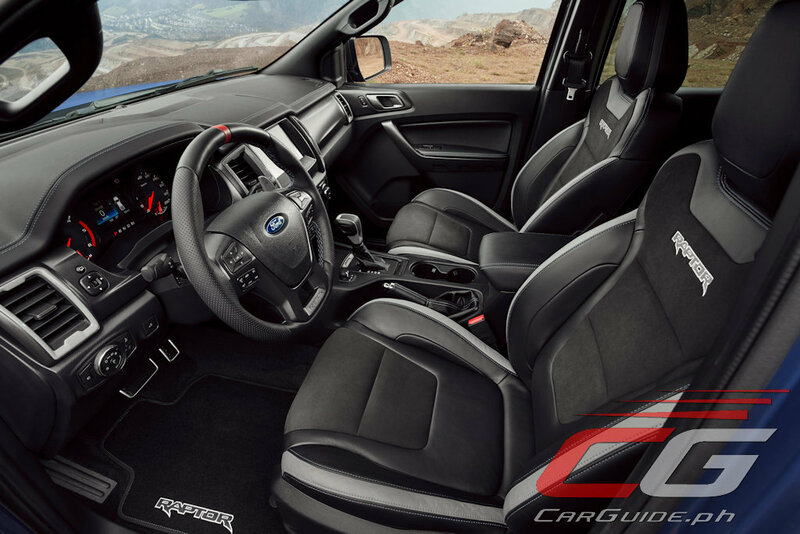 The new Ranger also offers the SYNC 3 feature compatible with Apple CarPlay and Android Auto, allowing drivers to make calls, select music, and use apps with eyes on the road and hands on the wheel. 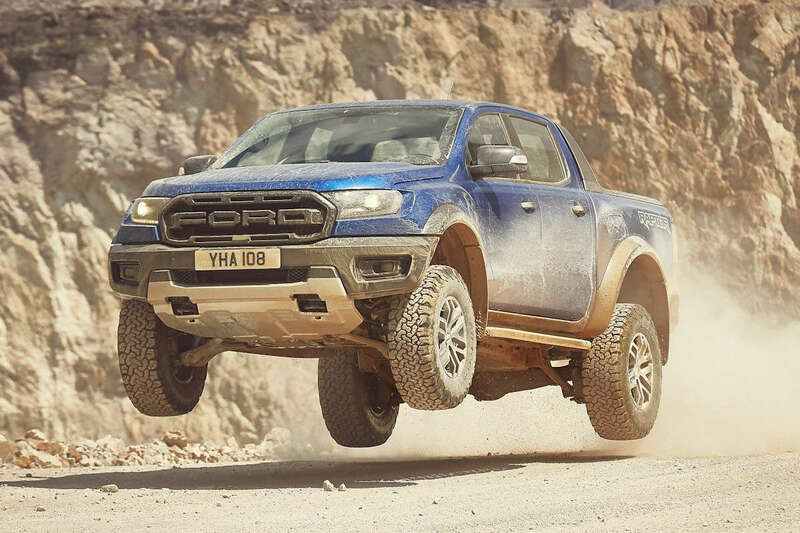 Customers can also ride and experience the new Ranger and Ranger Raptor at the Ford Island Conquest Year 2 in Arca South, Taguig City on Saturday, September 22. We bought today Sep 20 Hilux Conquest instead of the Ford Raptor. Kakastress kadeal at katransaksyon ang after sales ng Ford Philippines mga mukhang pera. Naglabas sila XLS 4x2 AT para mas mura kesa sa Navara na 1.13M which was best selling truck nung August. Kawawa ka sa hilux. Failed sa moose test yan pre. Di na nung 2017. September 2018 amin pati headlight magkamukha na. that 2.0 Liter Twin Turbo engine got reliability issues already..Better buy a Hilux,D-Max,Colorado or NP 300 Navara instead..
Will this new ranger require exotic engine oils and other fluid? Or a 5digit priced filters etc. Still not over that 10mins only oil drain or it will lose oil pressure priming and ruin your engine. Or so I read and heard. PLEASE LAUNCH 2.2 TREND MT ON EVEREST! Every time you buy a new car, SUV or pickup. Aside from thinking the resale value tingnan niyo ang PMS Menu nila they have that every brand meron yan. Kasi ung iba super pricey ung iba unti unti kang niloloko sa PMS na lalabas mas mahal pa pala sila kay sa inakala nating mahal na brand. Toyota every 5k km's tapos Mitsubishi every 10k km's daw pero papabalikin ka ng every 5k km's eh di ang lumalabas mas mahal pa PMS nila pareho as compared to Ford. Ang mahirap lang sa Ford is warranty claim at parts availability although meron naman nabibili sa Banawe. XLS AT @1.089M, that’s a very good deal. Yan or Navara Calibre at 1.1M sulit ang pickup kasi Diesel Engine mas malaki kesa sa Hyundai Accent worth 900k. Mga sir any idea why 2.2l 4x4 MT is not part of Ford 2019 list .Is there any issue ?